Kaavadi Productions and Indie Rights are pleased to announce the theatrical world premiere and Digital HD rollout of Kaarthikeyan Kirubhakaran’s musical drama His Father’s Voice. Kaarthikeyan and producer Shankar Kiru have assembled some of the finest new talent from around the world for his feature directorial debut, including Jeremy Roske, Julia Koch, Sudharma Vaithiyanathan, P T Narendran, Ashwini Pratap Pawar, and Christopher Gurusamy. His Father’s Voice will open in Los Angeles for a weeklong run at the Arena Cinelounge on April 19, before the film premieres on Cable and Digital VOD in the coming weeks. 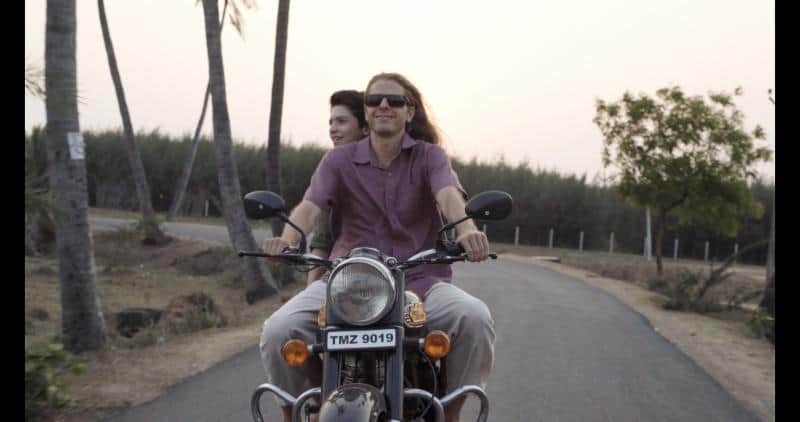 Twelve years after his parents’ painful divorce, Kris returns to India as a gifted young American dancer, with a burning need to reconnect with his father, and to heal himself of a deep trauma. Valli, his childhood companion, is now a beautiful and talented dancer. Though resentful of Valli’s parents for what he perceives as their role in his parents’ separation, Kris discovers in Valli’s company a truth that brings him consolation, as well as a sense of tremendous betrayal.